During your European vacation, there could be no other wiser choice than to visit Italy as it is among the most romantic and spectacular of all places on earth. You can do many amazing things here as this is a beautiful tourist center. Most artists and art lovers consider Italy as the most inspiring destination to experience the true taste of art. Italian churches with its magnificent sculptures, paintings and historic pillars, make it an amazingly beautiful place to visit. Italian fashion is number one and that goes without saying. No other country comes close to Italian style except for possibly the French, who are a far away second. When it comes to the Italian fashion industry, which includes Fendi, Gucci, Armani, Versace, Valentino, Zegna etc, you will be able to see the best of the best. If you find "Made in Italy" or "Fabbricata in Italia" tag on the item you purchase, then you can rest assure of the quality and craftsmanship. Many of the fashion trends we come to see in United States, Canada and other parts of the world today are from the cities of Rome, Milan and Florence. Each of these cities are popular as centers of fashion and style. A true gem of an island of the coast of Naples (Italy) lies the beautiful Capri (pronounced Ca-pry, with the emphasis coming on the first syllable). It is a small Mediterranean island approximately two miles wide and four miles long. It is mostly mountainous and it rises majestically out of the sea. There is no need for a car, as the island is well-served by buses, taxis, and believe it or not funiculars. We all know that the country of Italy is famous for it's art, food, people, soccer (calcio), fine fashion and great natural beauty. 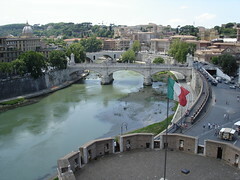 On the artistic side, there are famous churches, cathedrals, paintings, sculptures, piazzas, etc. And if you are an opera buff, Italy is home to many famous and beautiful opera houses. Below is a listing of the famous opera houses in Italy. May has finally arrived, and while the weather may not have caught up with the season in Northern Europe yet, we can be in no doubt that summer is on its way. To me, summer equals summer holidays, and so it will soon be time for us to pack our suitcases and head off on that much wanted (and needed!) break somewhere warmer, less familiar and hopefully more luxurious than we are used to at home. Cruise holidays remain popular and if you fancy sunning yourself aboard a luxury cruise ship this summer, now is the perfect time to start browsing the routes available so you can reserve your spot before the prices increase. 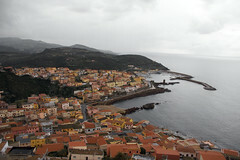 When you arrive in Sardinia, you might just hear an unfamiliar tune or two as you explore the area around your villa. In Sardinia, travellers will almost certainly notice many kinds of unique musical pieces and musical instruments that they may not be immediately familiar with. Sardinia is one of the most culturally distinct regions of Italy, and so too it is musically distinct. There is plenty to discover for those musically-inclined visitors. If you hear a few stray snatches of melody while exploring the towns of Sardinia, why not stop and listen for a little while? It could well be the soundtrack for a wonderful memory of your trip. When it comes to arranging the perfect study tour it's very important to make sure you pick the right location. There are plenty of destinations around the world that appeal to the travelling public in search of knowledge and experiences, but the eternal city of Rome is hard to beat. If you're lucky enough to be heading to this hotbed of history, then you might be interested in some of the lesser known sights and experiences on offer to visitors. Here is a brief rundown of some of the places you might think about including on your itinerary during your study tour to the 'Caput Mundi'. The fact that Venice is built on water is common knowledge to anyone who has looked, however briefly, into this Italian city. But what most tourists will probably not be aware of, as they step out of their Venice airport boat transfer, is that the city is built over a myriad of small islands, inside a natural preserve called the Venetian Lagoon. Formed six to seven thousand years ago, in an age well before Venice airport boat transfers, vaporetti or gondole, the Venetian Lagoon stemmed from the flooding of an Adriatic coastal plain. This flooded area was then sealed off by natural debris and sediments, leading to what would become internationally known as a "lagoon". The second largest island in the Mediterranean Sea is a perfect destination for those who want a variety of stunning beaches and the atmosphere of a great Italian holiday close by their villa. In Sardinia, there is no shortage of beaches and coastal areas for you to visit to relax and soak up the sun. If you're feeling energetic, climb over the rocky points and satisfy your urge to be active beside the sea! While on the island, you will have a wonderful choice of beaches to visit, but why not visit some of the ones that the island is most well known for? Head to Costa Smeralda, Arzachena, and Portobello on the north of the island, and Pula and Cagliari in the south. There are 3 European cities you have to visit if you love cities built on canals. Each city offers an opportunity to explore and experience it from the pleasure of a boat trip on the canal. These 3 cities are located on a network of canals. Venice was founded in 421 AD, as a place where people could seek refuge from barbarian invasions. Venice was built on several islands of a lagoon, then linked by bridges. It grew to become an important city. In 828 the reputation of Venice was elevated by the acquisition of the relics of St.Mark the Evangelist, which were placed in San Marco Basilica. Venice is famous for the Murano Glass works. It has a long history of mystery, intrigue and romance. It has been exciting visitors for centuries. Authors and movie makers have set their works in Venice. Henry James said of Venice, "A visit to Venice becomes a perpetual love affair." On your first visit to Venice you must see the famous sites. Begin at San Marco Square. Take a water taxi, a vaporetto, from the train station to the square. Sit at one of the outdoor tables and begin to enjoy your Venice experience. You can see St. Mark's Basilica, the Doges's Palace, the Campanile bell tower while you sip your tea or coffee or glass of wine. When you are ready stroll to the Tourist Information Office to plan your visit, be sure to include a romantic gondola ride. With just 2 days to go until the arrival of May, the 2012 wedding season is about to burst into life as brides and grooms from every corner of the globe head up the aisle to say their "I do's". May and September tend to be the busiest months of the year for weddings in the UK, and if you are one of the lucky ones marrying your sweetheart this year, why not take advantage of the rainy weekend, stay indoors, and book your dream honeymoon holiday to somewhere warm and exotic! When it comes to the cost of your honeymoon, it seems the sky is the limit. After researching all morning the average spend ranges between $3000 and $7000 for a two week break, and many savvy newlyweds now ask their guests to contribute to their honeymoon fund rather than buying a gift, so that they can splash out on a memorable holiday and enjoy those first weeks as man and wife - a great idea! Mauritius is not just one of our favourite honeymoon destinations; it tops most other lists too! A paradise bathing in the Indian Ocean, it is perhaps the most romantic holiday spot in the world. Sophisticated resorts with endless spa treatments, powder white sandy beaches, warm sunshine, and indulgent dining venues - what more could newlyweds want! The Caribbean attracts honeymooners from all over the world, and with such an amazing choice of beautiful islands, it is no wonder that it remains such a popular destination. If we were to choose one island for a truly romantic honeymoon, it would have to be Anguilla. Laid back, relaxed, and breathtakingly beautiful, this tiny island has it all. The Greek Islands are picture-postcard perfect during the summer months, and Santorini with its stunning blue and white buildings, cobbled streets and abundance of wild flowers is a wonderful place to spend a romantic holiday with a loved one. Those looking for something a little bit different should consider South Africa for their honeymoon. Combining a city break, a wine tasting tour and perhaps a safari, is a great way to celebrate your marriage, and you could always add-on a week in neighbouring Mauritius to get the best of both worlds! If your honeymoon is going to be your 'holiday of a lifetime', why not take the plunge and head down under to Australia! A magnificent country that has something for everyone, Oz is a wonderful place to visit, and there is nothing more romantic that drinking a glass of wine together while watching the sun set over Ayres Rock. Wherever you decide to go on your honeymoon just remember, "Short honeymoons are better than no honeymoons, but long honeymoons are best of all" - enjoy! Wendy Kaufmann is the owner of Equatours Limited. A family owned and family run business specialising in unique travel experiences to countries below the equator. Fully bonded tour operator, our packages are inclusive of all travel arrangements, accommodation, insurance and a personal travel guide is with you every step of the way to make sure your trip with us is a holiday of a lifetime. As the second largest in the Mediterranean Sea, this island off the western coast of Italy boasts many wonderful places to go and things to do - all of which are easily accessible when you stay in a centrally located villa. In Sardinia, you can spend weeks just lounging on the beautiful beaches that are in abundance around the coast, or, if you are more of a history buff, this is a great holiday location for you too. While you are staying on the island, you should take in a bit of culture and visit Oristano, Castelsardo, and Su Nuraxi di Barumini.